Here are 15 surprising statistics about home burglaries. Read them and take them into account when planning your own home security strategy. 1. Every year there are approximately 2.2 million burglaries in the United States, which averages out to a burglary every 14 to 15 seconds. 2. Homes are targeted in at least 70% of burglaries. 3.The average arrest rate for burglaries in the United States is only 13%. This means that if your home is broken into, the chances of recovering your stolen possessions or of the perpetrator doing time for the break-in are small. 4. Most burglaries occur between 10 a.m. and 3 p.m., and more occur during warm weather than during cold weather. 5. A typical burglary lasts from 90 seconds to 12 minutes. 6. Single-family, detached homes are the most likely targets for burglars. This makes sense because there are generally more access points and more places for a burglar to hide. 7. The typical burglar lives within 2 miles of the victim, and may in fact know the victim. This is one more reason to be careful about who you let into your house. 8. Regionally, the south accounts for 47% of burglaries. The Midwest and west each account for 21% of burglaries, and the northeast accounts for the remaining 11%. 9. Homes in the center of the block are more likely to be burglarized than corner houses. This may be due to the extra visibility of houses on corner lots. 10. Most burglars are under age 25. 11. Students are most likely to be burglary victims (perhaps due to possession of the latest electronics or the company they keep, since most burglars are under 25), with elderly people next most likely (possibly due to possession of prescription medications). Middle-aged people are least likely to be burglary victims. 12. Over half (56%) of burglars are white, and 31% are Hispanic. 13. Almost all (95%) burglars are male. 14. Most burglars already have a rap sheet due to robbery, assault, or drug-related offenses. 15. A home without a home security system is three times more likely to be broken into than a home with a security system. Here is a bonus statistic: around 87% of burglaries are considered preventable. Your home security strategy should involve several layers of protection. For one thing, families should have clear rules about locking doors and windows before leaving, and about answering the door or talking about upcoming vacations on social networking websites. It’s also not a good idea to “advertise” your travel plans on social networking websites. Having strong locks on doors and windows and using them consistently is another layer of protection for your home. 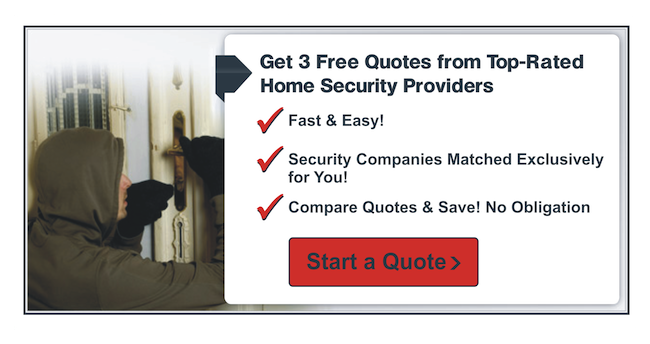 Finally, a monitored home security system is a great way to tie together a comprehensive home security strategy.